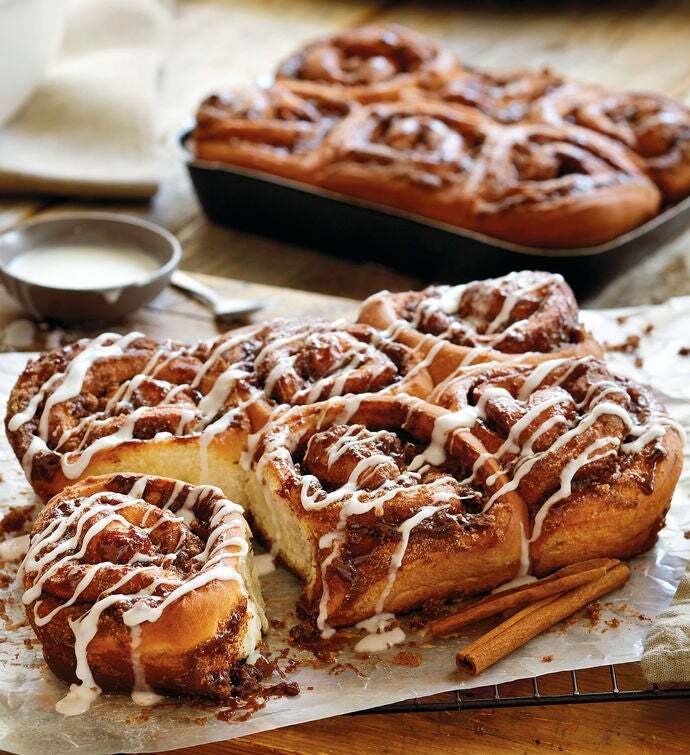 Now you can eat gooey gourmet cinnamon rolls in the time it might ordinarily take you to even find the recipe! A thick layer of sweet cinnamon filling gets spread over soft dough, and then it's all rolled up and gently baked. 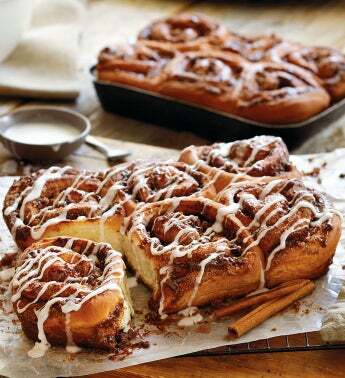 There are 12 delicious rolls in all, with a generous amount of icing to drizzle over the top. Ready to reheat and enjoy, this is an easy way to have a fabulous breakfast or dessert.